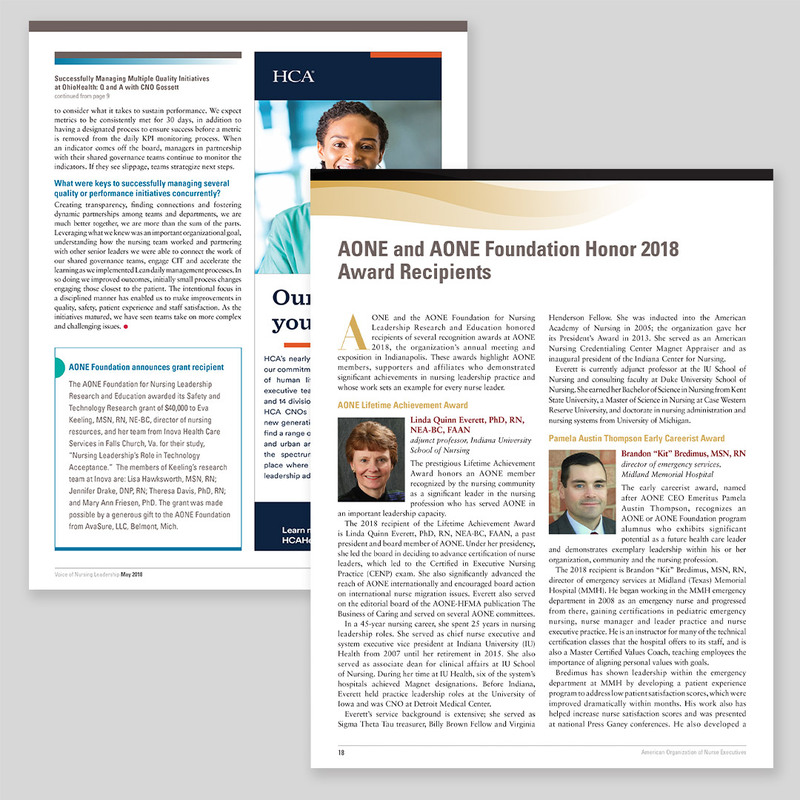 AONE’s bi-monthly member newsletter informs members about activities, upcoming programs, and the latest accomplishments and achievements of AONE members. 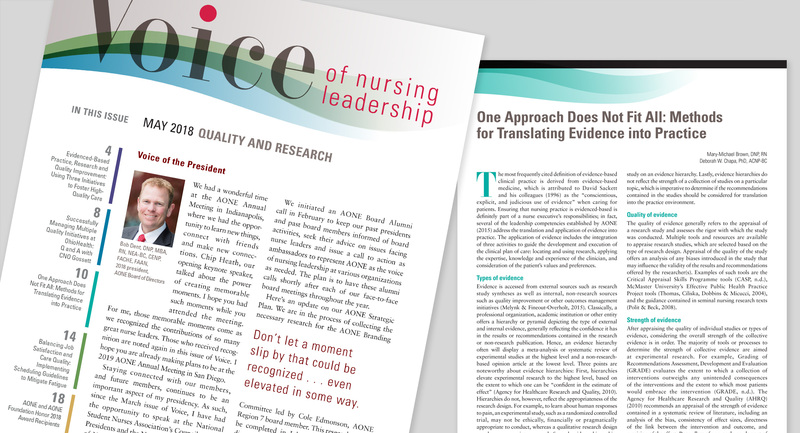 It also showcases excellence and innovation in nursing and patient care leadership throughout the continuum of care and helps readers understand the latest public policy developments that affect their practice. 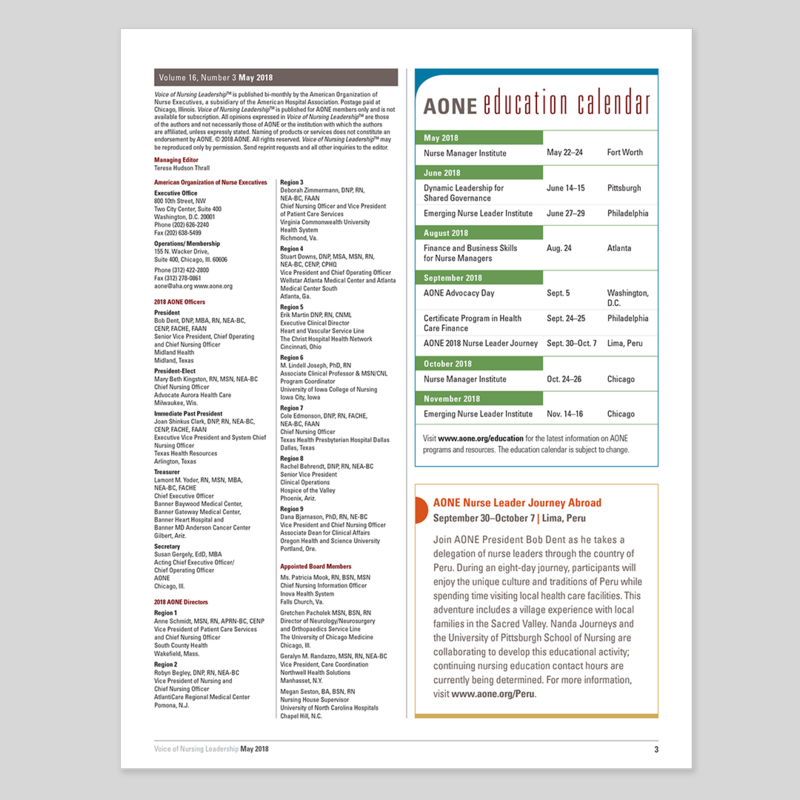 We worked with our friends at AONE, a longstanding client of ours, to redesign their bi-monthly publication. Our goal was to create a fresh, inviting look, while retaining a sense of gravitas balanced with approachability.